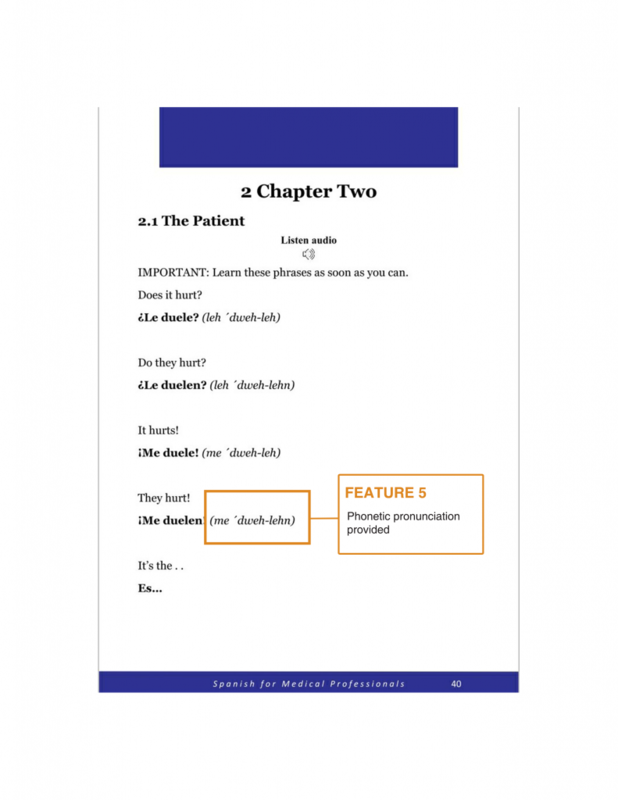 Interact with Spanish-speaking patients, even with zero prior background in the language. 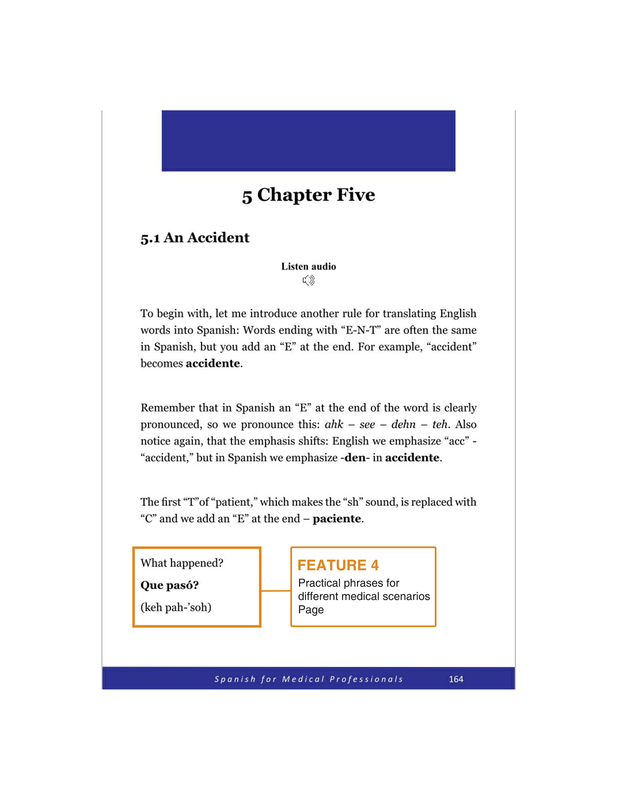 Practical Medical Scenarios: Learn basic Spanish medical phrases, key medical terminology, medical abbreviations, and more. The Most Useful Medical Spanish Dictionary: Spanish-English and English-Spanish medical dictionary. FREE Audiobook: Get a 14-hour long fully narrated audiobook that comes for free with your purchase. Listen anywhere, anytime! 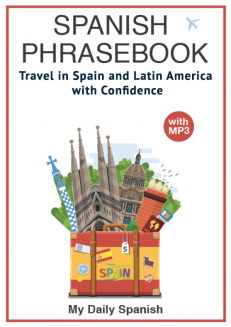 Practice your listening and pronunciation skills with audio narrated by a native Spanish-speaker. Get your copy now for US$19.90 only! 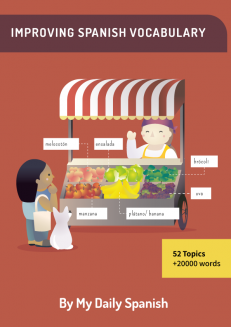 As the Spanish-speaking world grows bigger, so does the need for healthcare professionals and students to have a working knowledge of medical Spanish. Whether you are a healthcare professional who needs conversational skills in Spanish to interact with Spanish patients in your home country, or one who is assigned in a Spanish-speaking destination, you need a simple manual that presents practical contexts and useful everyday situations encountered in the medical field. 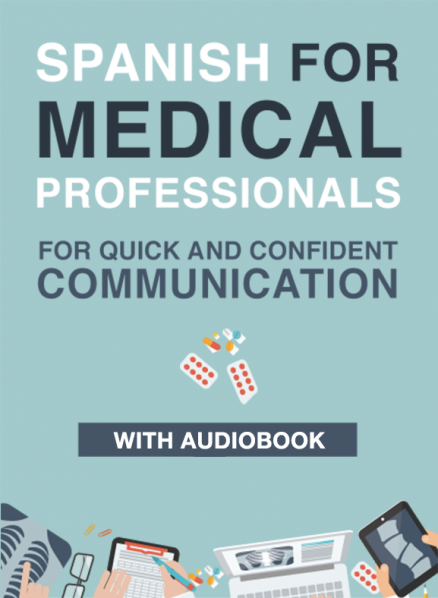 To provide top-quality care for your patients, you need to be armed with the necessary conversational know-how, in order to probe and interact effectively. 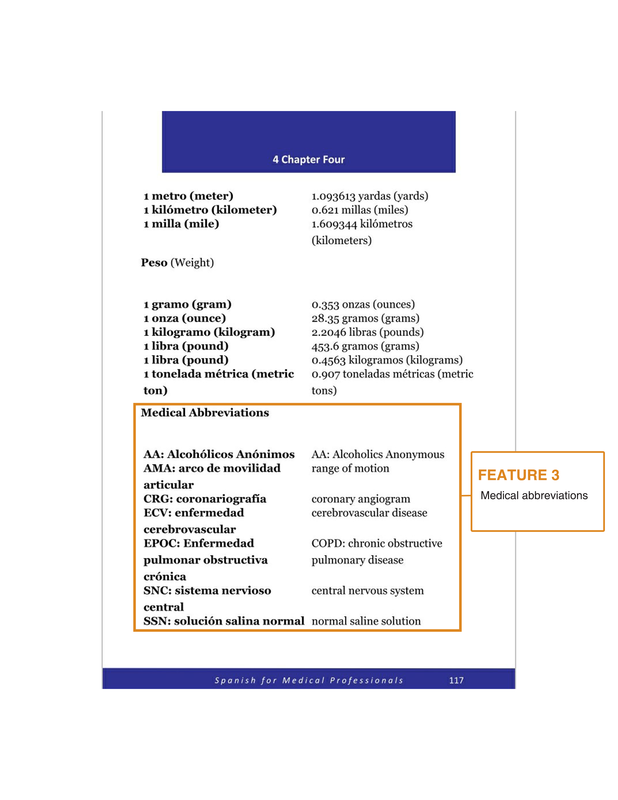 In situations that could be detrimental to your patients’ health and well-being, you need a thorough and precise guide to help you converse in Spanish beyond what a simple medical dictionary would provide. This book is specifically created for healthcare professionals: in particular, physicians, physicians’ assistants, nurse practitioners, nurses, medical assistants, lab technicians, and ancillary medical staff. 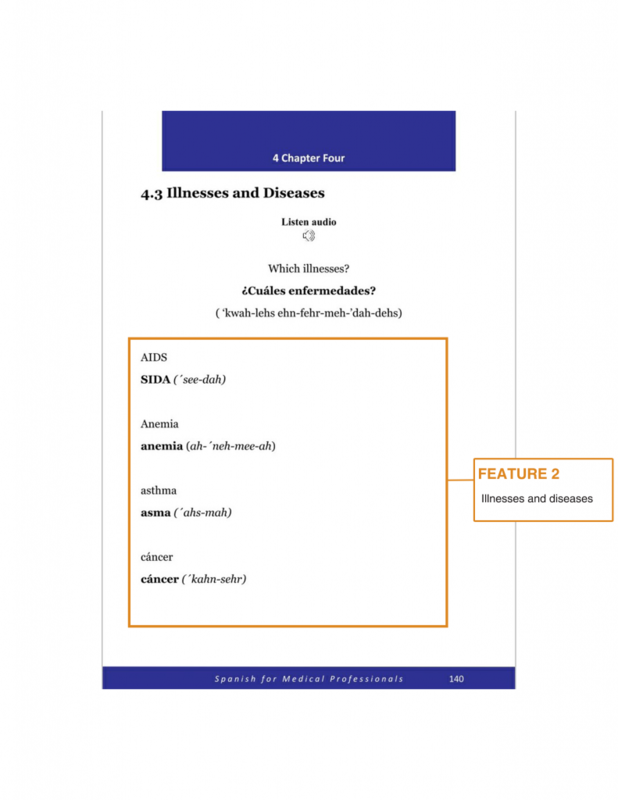 ​Practical Medical Scenarios: Learn basic Spanish medical phrases, key medical terminology, medical abbreviations, and more. 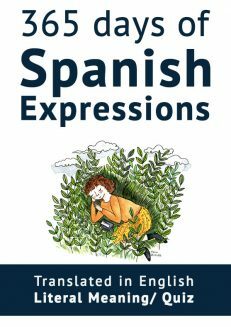 ​The Most Useful Medical Spanish Dictionary: Spanish-English and English-Spanish medical dictionary. This is an e-book to help medical professionals effectively converse with their patients, enabling them to provide proper medical care. 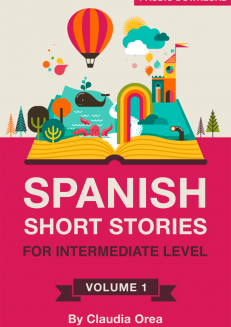 It is not a book for regular Spanish learners. This will not teach you grammar and everyday vocabulary. Instead, it is solely focused on the medical field. Learn how to conduct patient interviews, speak with the patient’s family members, perform examinations, give instructions, provide diagnoses and prescriptions, and deal with several other medical scenarios – all in Spanish. 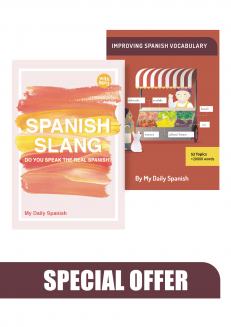 This e-book will provide you with basic Spanish medical phrases, key medical terms, medical abbreviations, as well as a handy Spanish-English and English-Spanish medical dictionary towards the end of the book. From the basics, such as obtaining patients’ information, conducting tests, providing diagnoses, handling emergencies, pregnancies, surgeries, and more, you will find some background information complete with phrases to help you handle every medical scenario with ease. 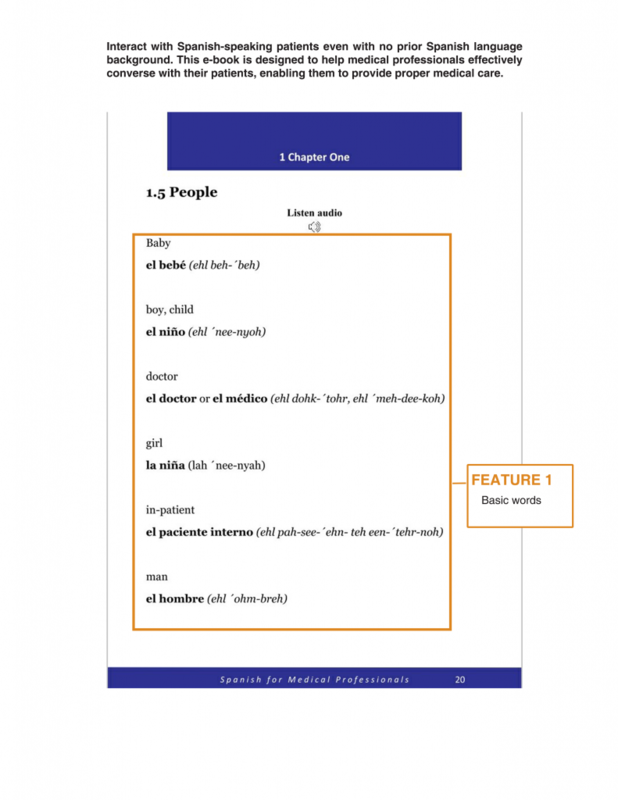 Most of the other similar books in the market will provide you with a phonetic pronunciation guide such as the one available in this e-book. But what other materials available in the market don’t have is a FREE audio that you can listen to anytime, anywhere. 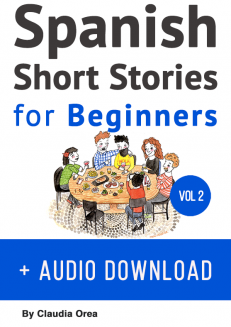 This e-book comes with a FREE AUDIOBOOK to practice your listening skills and you can also use them for pronunciation practice. At 14 hours long, you can listen to and learn the lessons wherever and whenever you want for a convenient hands-free learning! 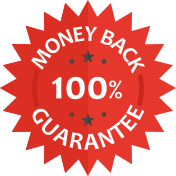 The high quality audio provided to you is narrated by a native Spanish-speaker to help train your ear to the sound of authentic Spanish as spoken by natives. What are you waiting for? 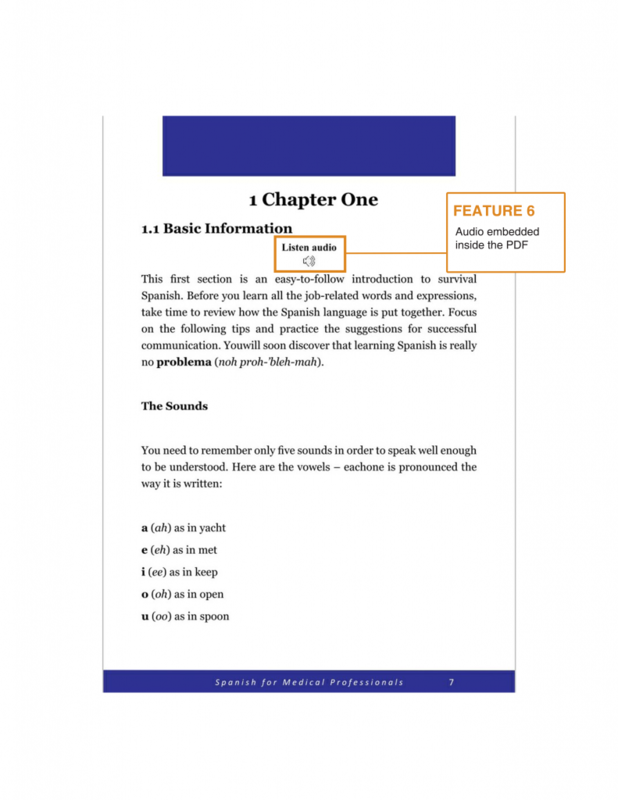 Get your copy today and start learning medical Spanish!